LA Kings defenseman Slava Voynov, shown here during a recent practice session (prior to his suspension). LOS ANGELES — As reported on Twitter, at virtually the same time, Orange County Register reporter Rich Hammond and LA Kings Insider Jon Rosen, followed a couple of minutes later by NHL.com writer Curtis Zupke, suspended Los Angeles Kings defenseman Slava Voynov skated with teammates during the team’s game-day morning skate on December 2 at the Toyota Sports Center in El Segundo, California, a violation of the terms of his suspension imposed by the National Hockey League after he was accused of domestic violence on his wife in October. So, uh, Slava Voynov is practicing with the Kings. No, I don’t know why. Uhh, Slava skating with Kings. Slava Voynov is skating with the team at the morning skate; taking line rushes with Alec Martinez. Voynov was charged on November 20 with one felony count of “corporal injury to spouse with great bodily injury” to his wife, Marta Varlamova, in an incident that occurred on October 19. Voynov was arraigned in Los Angeles Superior Court in Torrance, California on December 1, where he entered a not guilty plea. The Kings indicated that Voynov was out for his routine skate, this time, prior to his teammates hitting the ice for their practice. The Kings said that the skate was optional for the team as their justification for Voynov’s participation, but the National Hockey League reacted swiftly. “The Los Angeles Kings have been fined $100,000 for violating the terms of defenseman Slava Voynov’s suspension,” the league announced in a statement. The Kings’ mea culpa came shortly thereafter. On November 10, reporters, including yours truly, witnessed Voynov skating with assistant coach John Stevens after the team’s practice session at their practice facility. This has been a regular occurrence since that date. Hammond reported in the Register that this was permitted by the NHL. Given that the terms of Voynov’s suspension were clearly laid out, what were the Kings thinking? To be sure, they had to know that Voynov was not allowed to skate with the team in practice. To make matters worse, they tried to justify it by stating that he was merely on the ice early for his routine skate, prior to an optional team practice, one in which all of the available players skated. As such, that only leaves one question: why? Los Angeles Times reporter Lisa Dillman spoke to Kings President/General Manager Dean Lombardi, who told her that he thought it would be good for Voynov to be around his teammates. I’m not buying Lombardi’s answer. But don’t expect him or the Kings to reveal their reasons—they won’t show their hand on this one. In fact, it’s not likely that we’ll ever know the true reasons behind the December 2 episode of the Slava Voynov Show. The Kings were not the only ones in the wrong on December 2. Indeed, an extremely disturbing reaction to the news that Voynov was skating with the team came from some readers of Hammond’s and Rosen’s posts on Twitter (see above) that broke the news. These readers claimed that this news should not have been reported because it hurt the Kings. At least one person also tweeted that Rosen, an employee of the Kings, should lose his job because his report on Twitter was detrimental to the team, despite the fact that he was hired by the Kings to be an independent reporter. 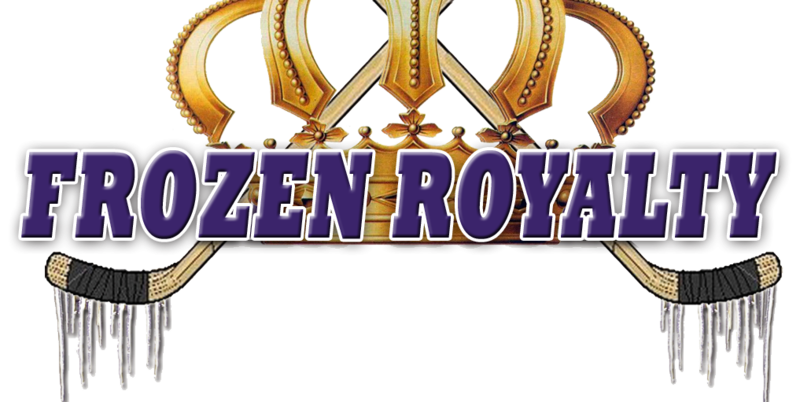 Frozen Royalty will not publish the tweets in question, or identify those who posted them. But the kind of thinking that spawned those tweets is not only completely wrong, but it is an ominous sign for our future. To be sure, if we are going to demand that journalists put the welfare of the team they cover first when reporting the news—this is exactly what the demand was by those who posted the tweets in question—the result would be that their reporting would no longer be unbiased, completely independent or reliable, and in many cases, not factual or accurate. Instead, what we’ll end up with is news that is, for all intents and purposes, only what teams and leagues want us to have. In other words, it will be inherently biased, entirely unreliable and often wrong, all for the purpose of spoon-feeding us the spin created by the teams and leagues. One example would be a team playing poorly, but getting news coverage that makes things appear as if everything is coming up roses, and don’t think that won’t happen. In fact, even the Kings were often guilty of that during the earliest years of their web site. Back then, their marketing department was responsible for all content on their web site. As a writer for the Kings web site at the time, I saw first-hand a lot of pro-Kings spin, even when they were playing poorly. I even had to write some of it. Is that what we really want going forward? Are fans becoming so blinded by their loyalties that they only want to read, see or hear “news” if it portrays their favorite team or favorite athletes in a positive light? Even worse, can you imagine what would have happened if this was the kind of reporting we had in this town when the news about Slava Voynov broke back in October? What if that kind of standard was applied on a wider scale to more important news topics? That thought is so deeply disturbing that I won’t elaborate. Nevertheless, that would be exactly the kind of news reporting those who criticized Hammond and Rosen are advocating for, whether they understand that or not. In the final analysis, Hammond, Rosen and Zupke deserve praise for staying true to their profession and their principles in reporting this story. For them to do otherwise would push us down a very, very slippery slope towards what would amount to nothing more than shoddy journalism that is controlled by the subjects being reported on, which is inherently dangerous. Indeed, if we end up going down that road, as a society, we are all in deep, deep trouble. Kudos to Hammond, Rosen and Zupke for doing their part to keep us on the high road, heading in the right direction. Blaming the eyewitness for the infraction that was committed is inane. Sadly, there will always be “fans” who, instead of being fans, instead become self-appointed experts on law, journalism, and all sorts of topics. Fans should stick to enjoying the game and trying to figure out Corsi and Fenwick, not Dershowitz and Bradlee. Personally, and this is a shout from the peanut gallery here, I think that the reporters did well to do their jobs. My dad didn’t believe it until I told him “Jon Rosen AND Rich Hammond said it.” We trust those fellas because they’ve never lied or rose tinted anything that I’m aware of, and I know they care about the team and the quality of the information they give us. I want all my reports like my team broadcast: friendly, but if the team messes up, call them on it. Be honest, not a homer. I think some fans think that they are SO on the inside with their team that they can make these suggestions as if they had ANY merit. Personally, I think that the Kings made a mistake, and NOBODY should lose a job over it regardless of how wrong it seems to some Kings zealots! I understand your points regarding our LA King writing staff. I applaud them for informing the public of any King news and occurances. I tweeted the King’s were showing solidarity and support for Slava by intentionally skating with him. The ENTIRE team! I am hopeful this is a positive sign for his innocence in this matter. It takes a Special Group to Unite this way. Leadership and care about each otjer. We know this to be true from past examples. I wish I could have been there yesterday to Applaud my Boys. I don’t understand why everyone was upset with Jon. He reported what happened. I do applaud the Kings though for making this stand with their teammate. That is what makes this team so amazing. Whether it was the players that instigated it out DL, it was a show of solidarity. I believe Slava is innocent and can’t wait for this to be over.